Veteran Findlay Cadillac sales consultant Mike Waldman has put his money where his mouth is — numerous times, in fact. 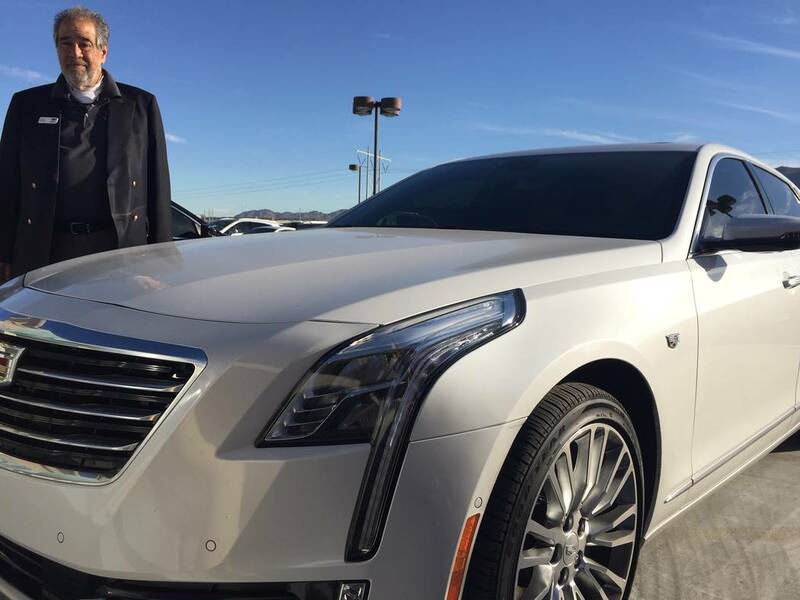 Waldman recently leased a 2018 Cadillac CT6; he and his wife have leased 10 Cadillacs in the past 15 years. With more than 23 years in the car business and more than 12 years with Findlay Cadillac, Waldman knows the product and the value of not only working for a Cadillac dealership but also leasing vehicles from the dealership. Waldman’s 2018 CT6 is Cadillac’s Premium Luxury model and offers many notable features: a 3.0 six-cylinder twin-turbo engine that fires off 404 horsepower and 400 pounds of torque. Throw in an eight-speed transmission, and it’s easy to see why the model is so highly regarded. While all of the features in Waldman’s vehicle are impressive, the active rear steering, Surround Vision 360 front and rear camera and recorder, Night Vision and Super Cruise might be the most interesting. A native of Denver, Waldman is on his second Cadillac CT6 with the 2018 model. The 2019 CT6 models are starting to arrive at dealerships. Seventy-five percent of Waldman’s sales is repeat business from previous customers. Further information regarding Findlay Cadillac can be found by visiting www.findlaycadillac.com or by calling 702-558-2600. Founded in 1961 by the late Pete Findlay, the Findlay Automotive now includes 33 dealerships including its newest, Findlay Mazda, in the Valley Automall. Dealerships are situated in Nevada, Utah, Oregon, Idaho, California and Arizona.